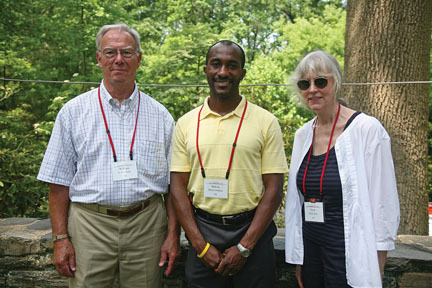 Here are just a few of the photographs taken during Alumni Weekend 2010. 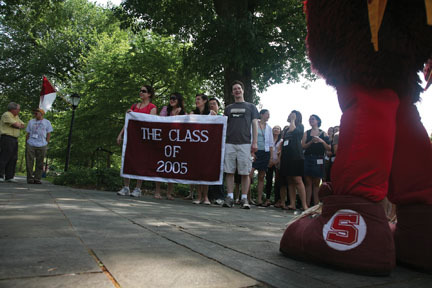 The Class of 2005 marches in the Parade of Classes, with a familiar creature watching them. 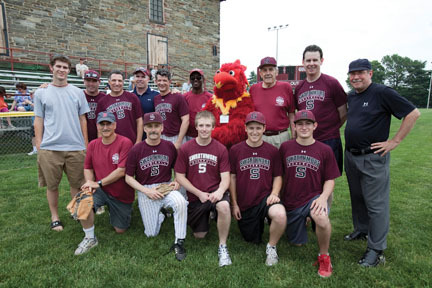 Participants in the alumni baseball gathering, with coaches Ernest Prudente (back, third from right) and Stan Exeter (back, second from left) and umpire (and Bulletin editor) Jeff Lott (back, far right). 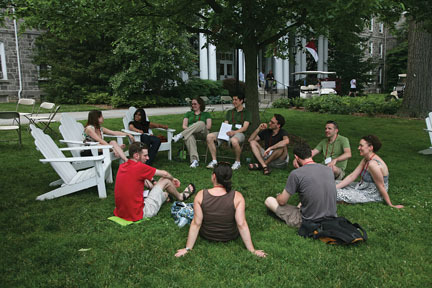 Members of the Class of 2000 relax on Parrish Beach. (Left to right) Awo Akosua Kesewa Aboagye ’08, Charles “Kip” Davis ’75, and Shaterra Green ’08 were among the alumni at the Black Alumni affinity reception. 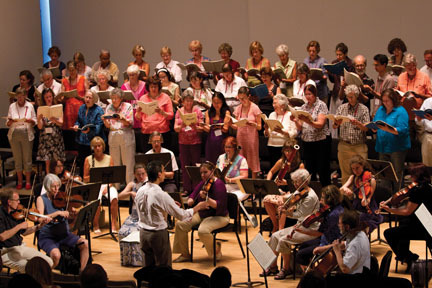 The annual reading and performance of Mozart’s Requiem was, as always, very popular with singers and instrumentalists alike. 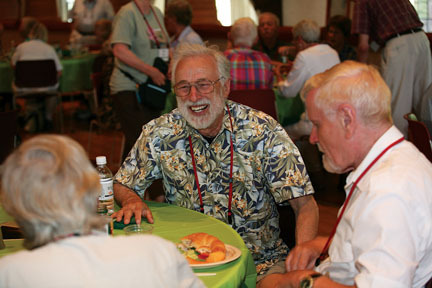 The Class of 1960 enjoyed their Friday lunch, despite having to move inside to escape the heat! 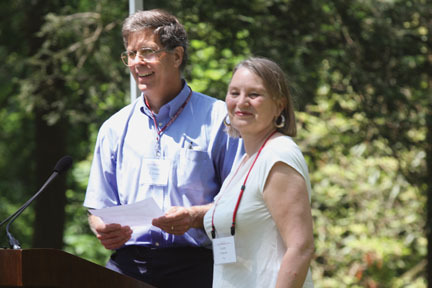 Their special guest was President Rebecca Chopp. 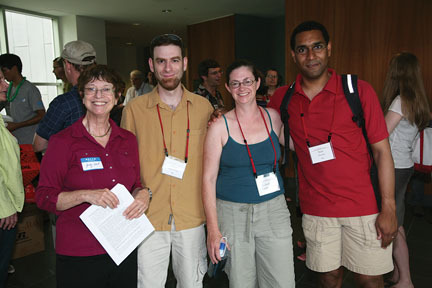 Attendees at the departmental reception for chemistry, biology, physics, math, and astronomy included (left to right) James Hammons Professor Emerita of Chemistry and Biochemistry Judy Voet, Daniel Kraut ’00, Leah Larkin ’91, and Sean Decatur ’90. 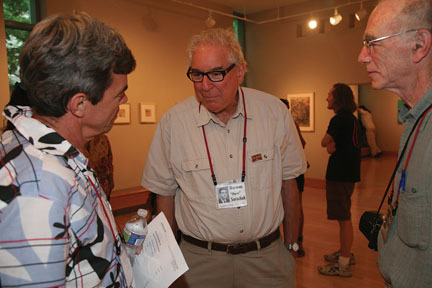 Alumni Norman Sarachek ’60 (center) and Patricia Price Paxson ’60 (not pictured) displayed their art at the List Gallery.